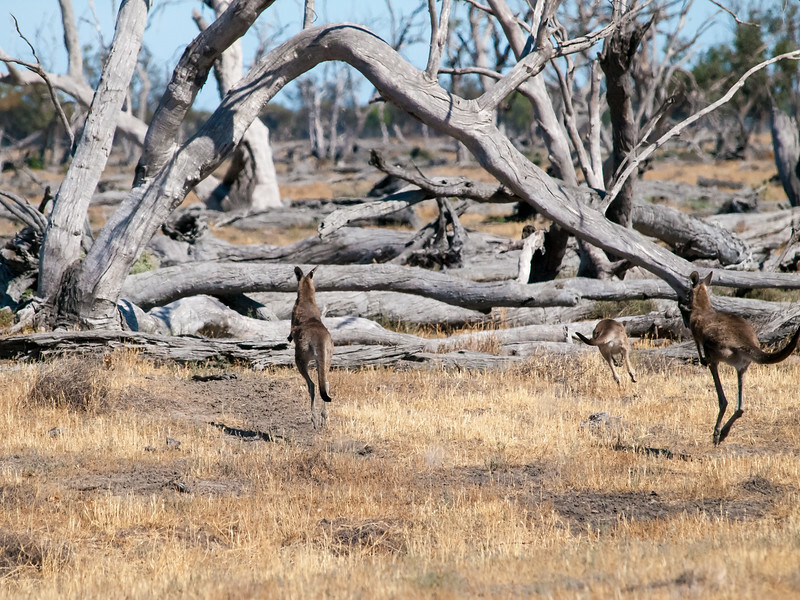 Eastern Grey Kangaroos in a tree graveyard. This was once lush marshland but drought and exessive agricultural use of river water has killed the trees. The photo was taken with a 200mm lens. The roos are actually about a rifle shot distance away. They have learnt to be gun shy.